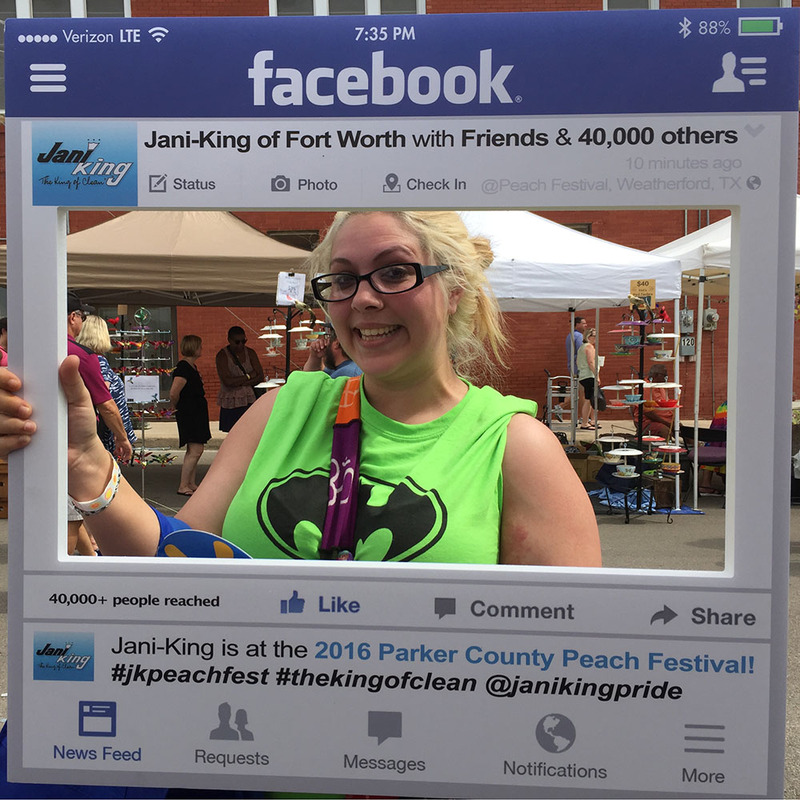 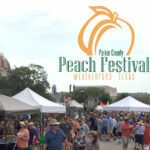 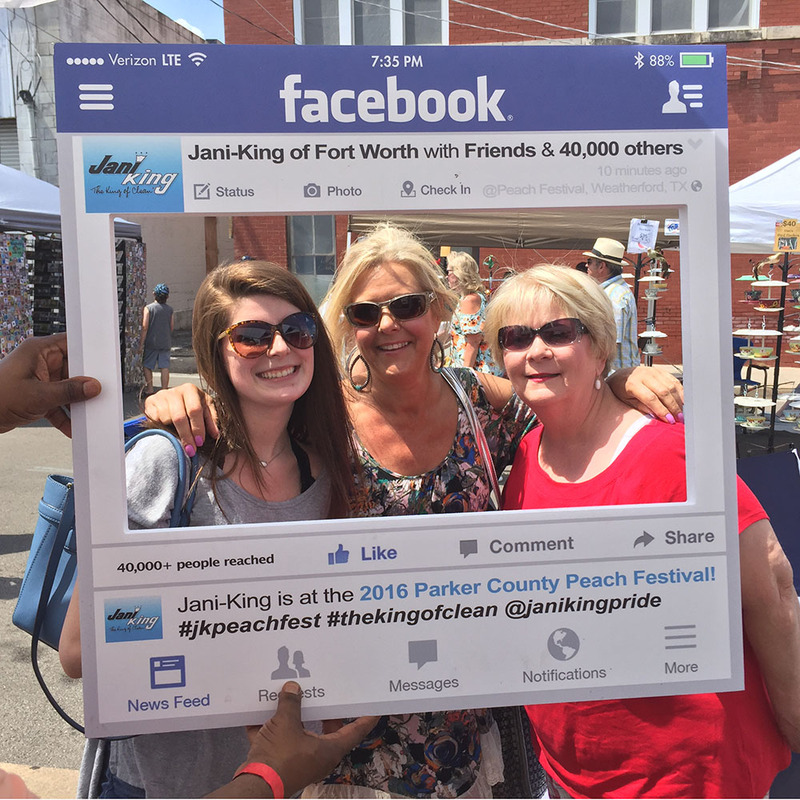 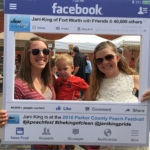 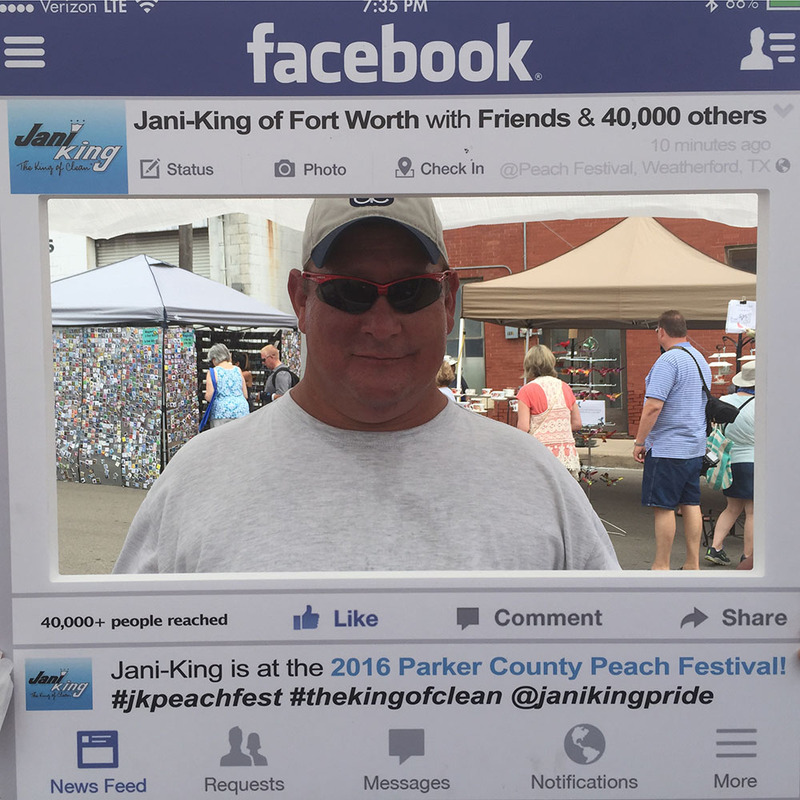 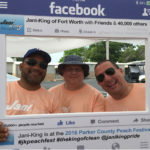 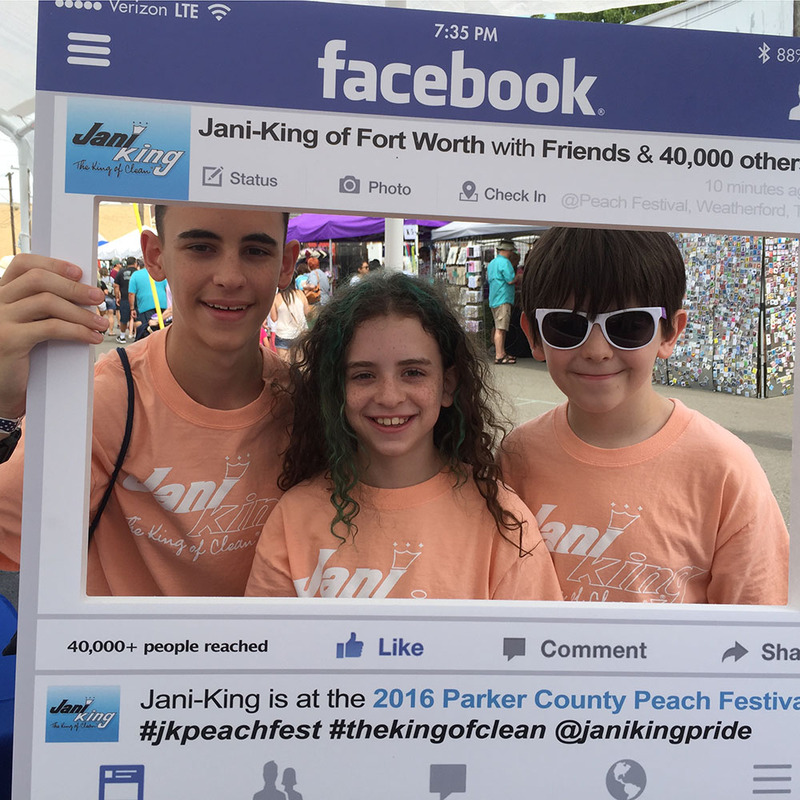 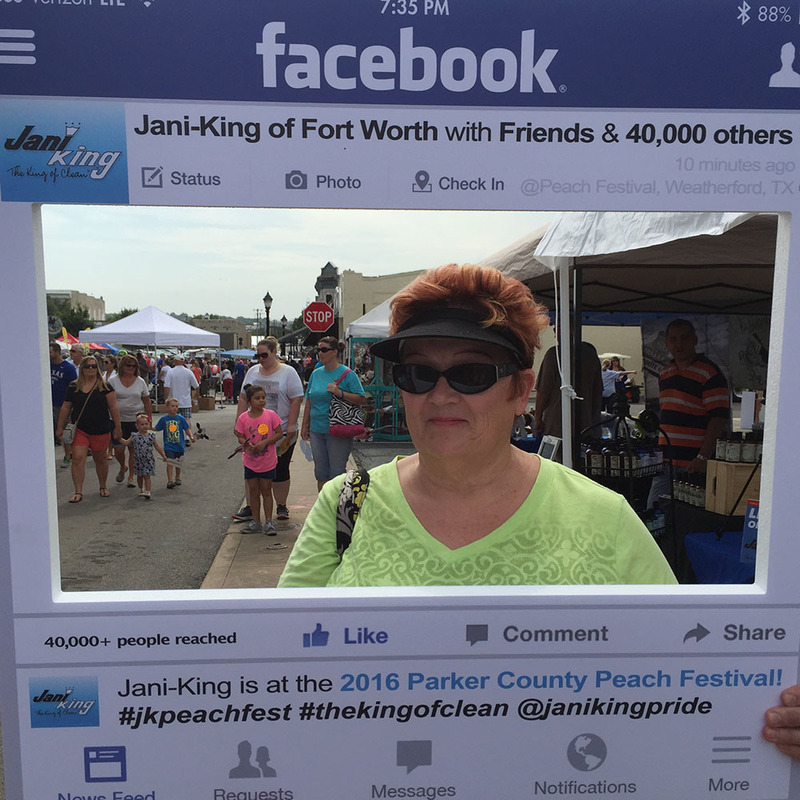 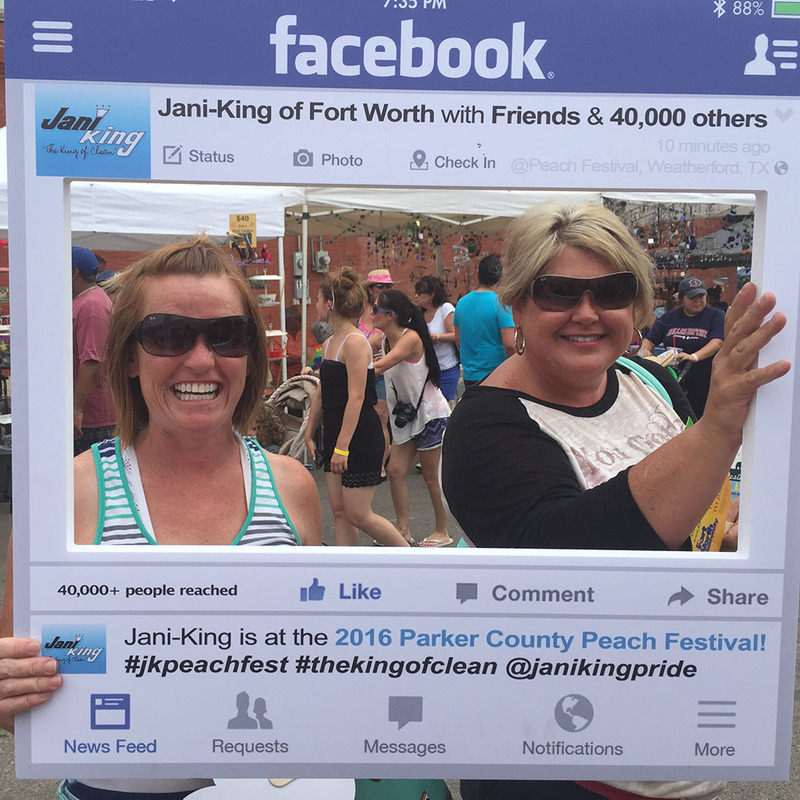 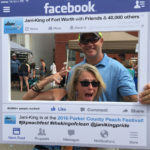 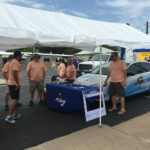 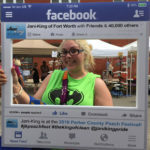 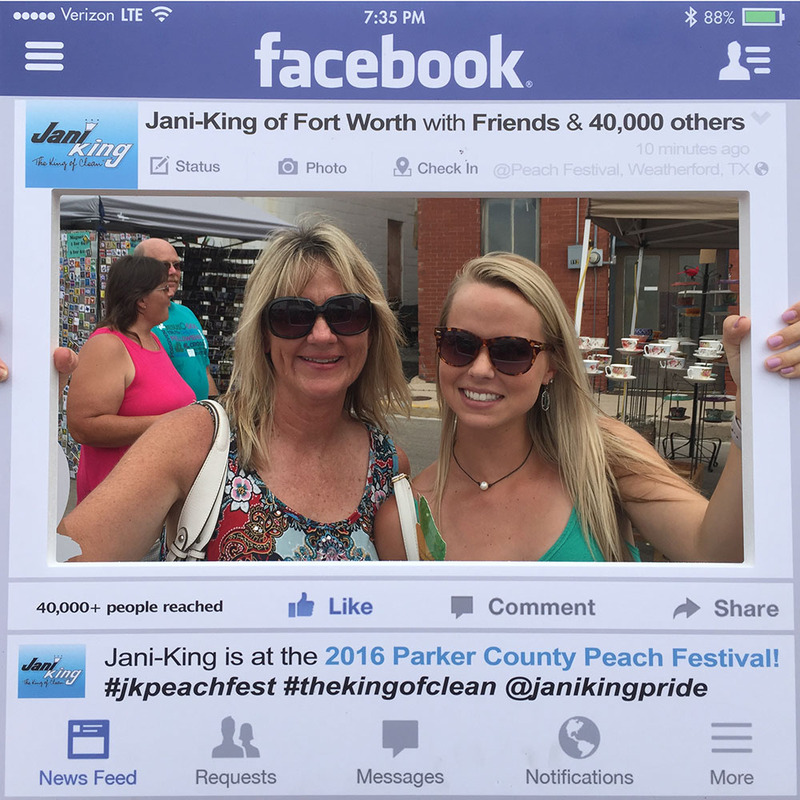 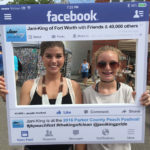 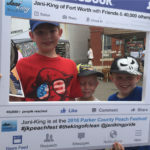 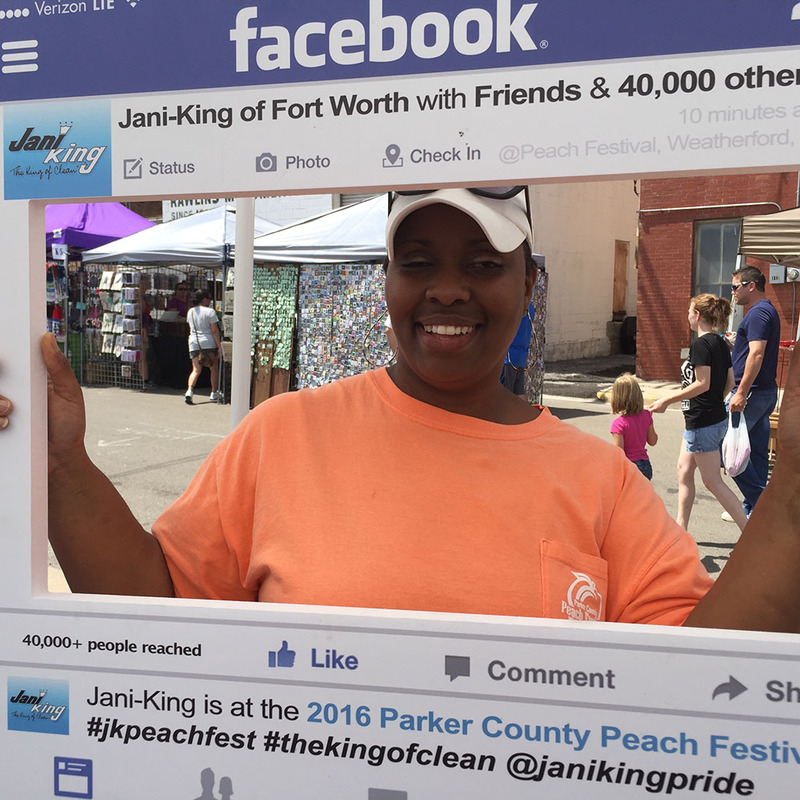 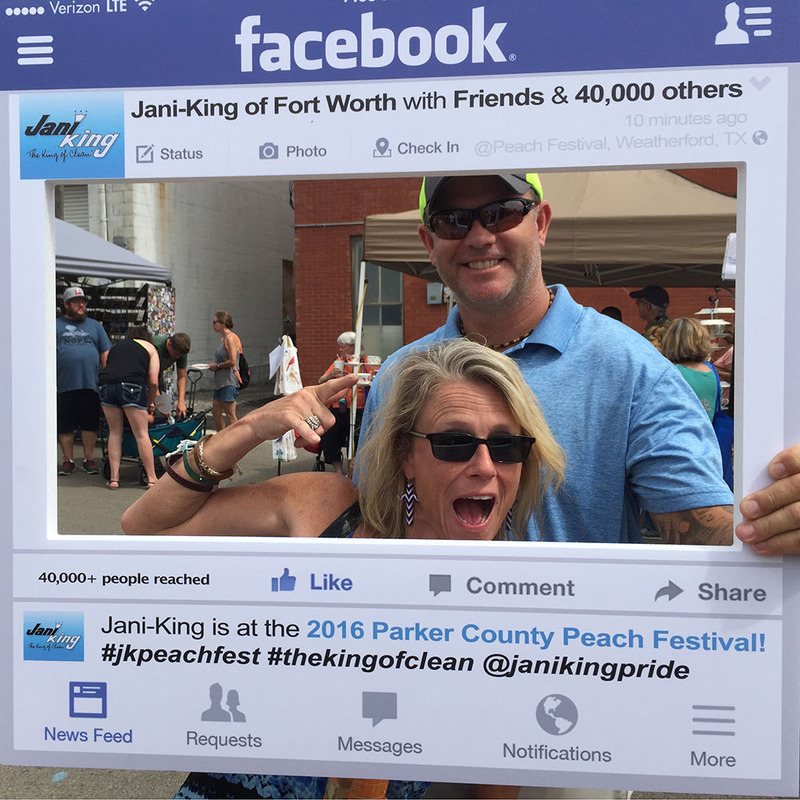 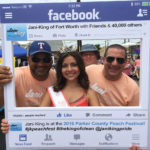 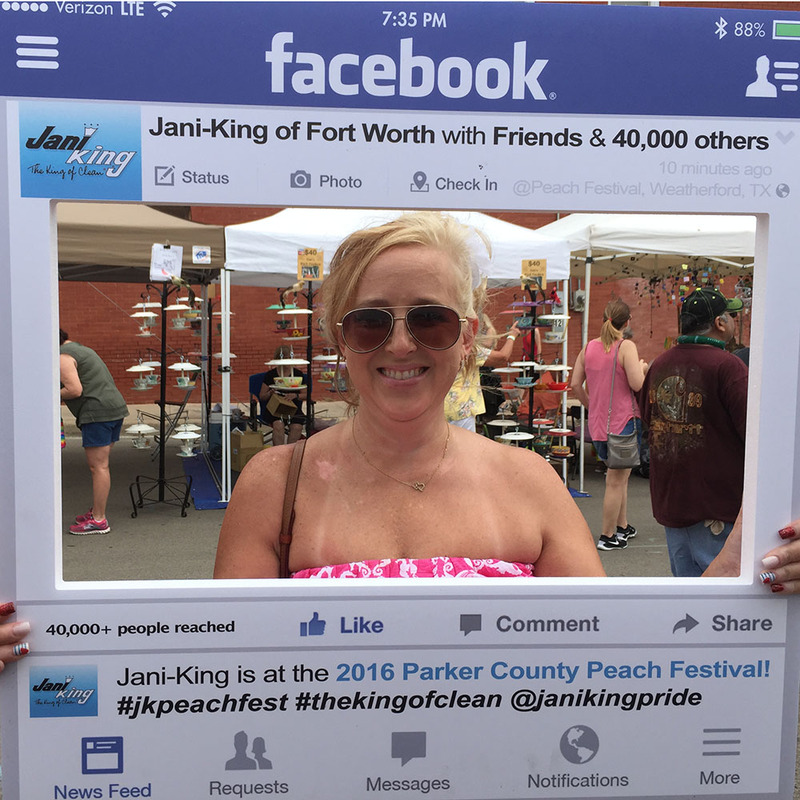 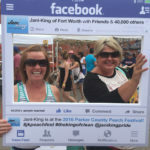 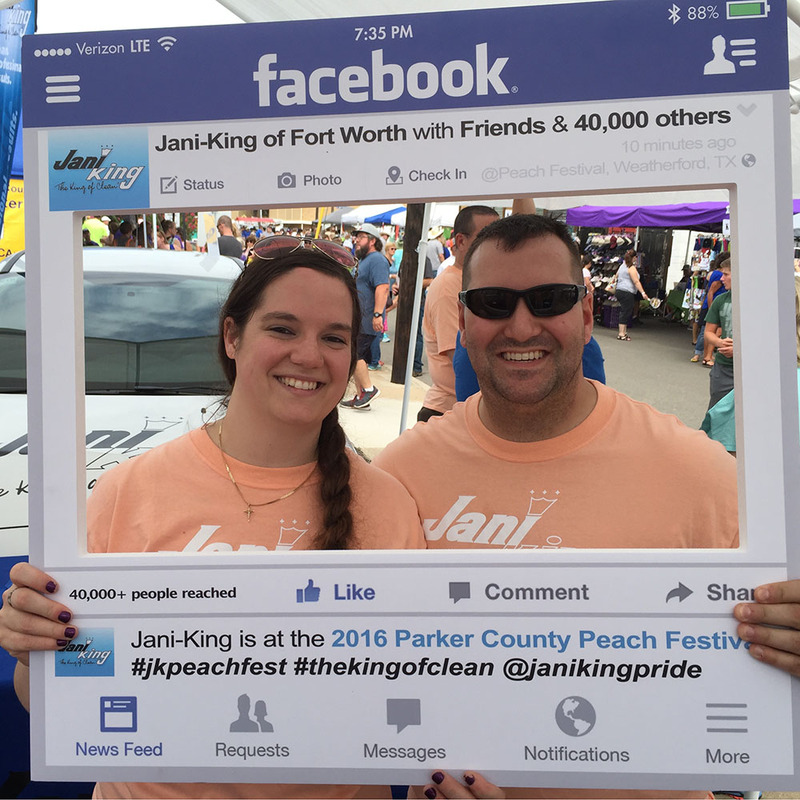 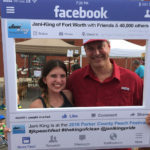 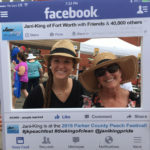 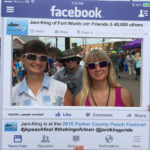 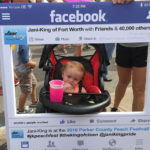 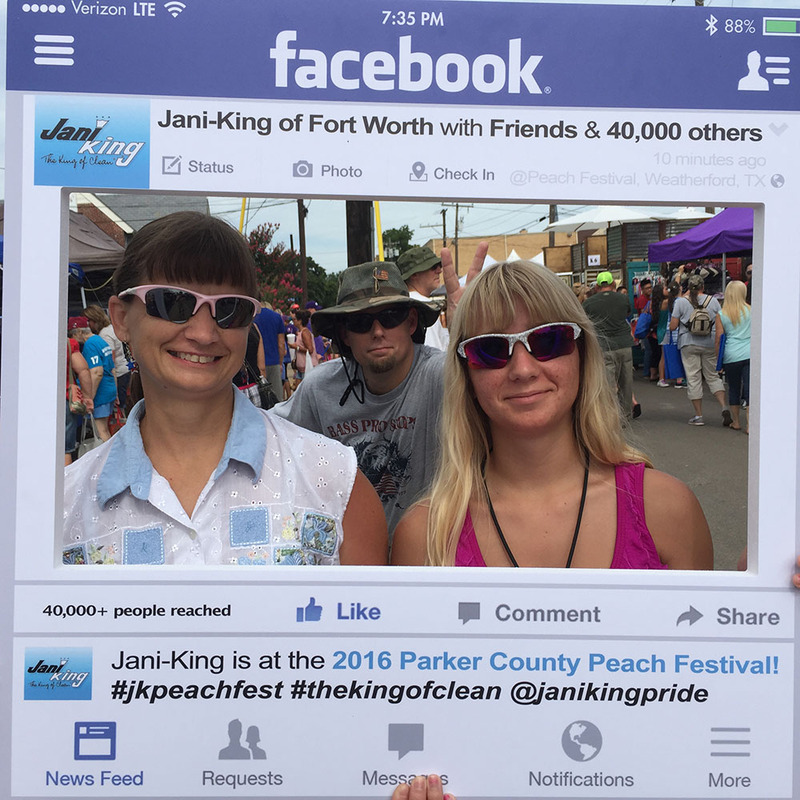 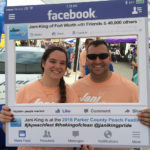 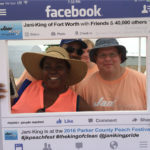 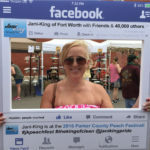 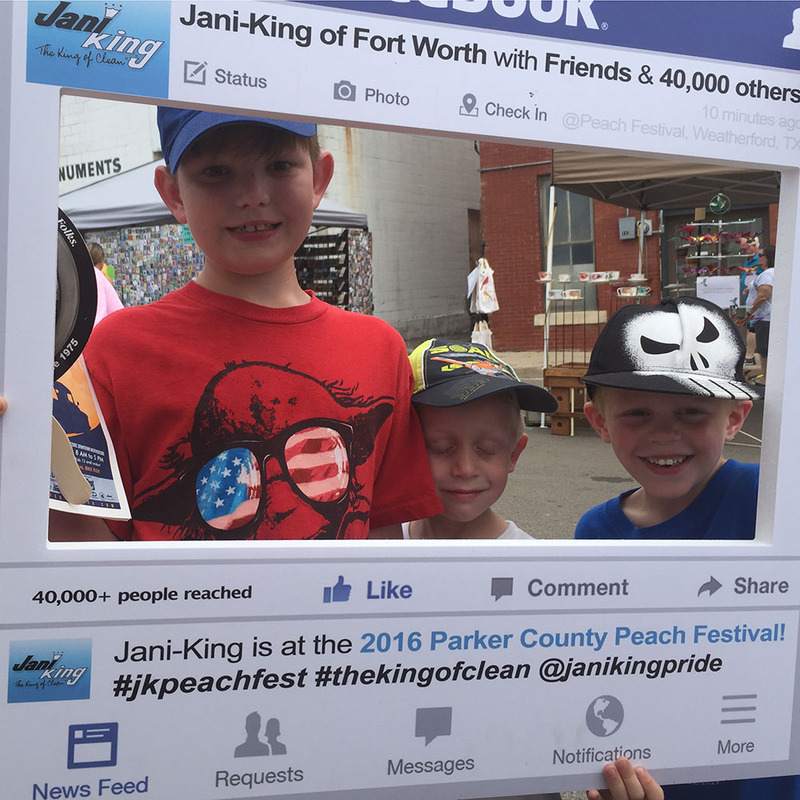 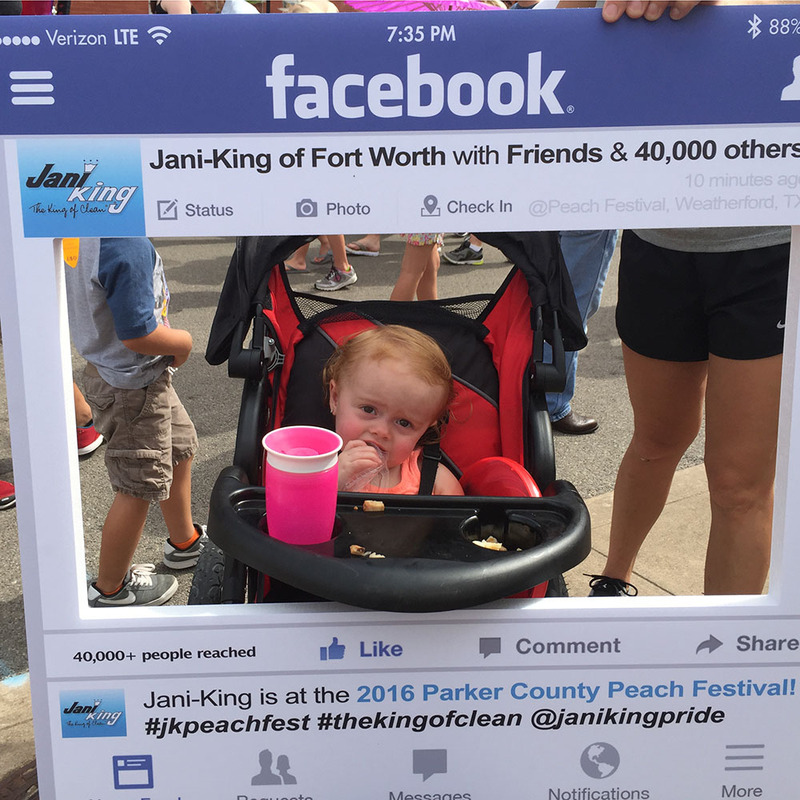 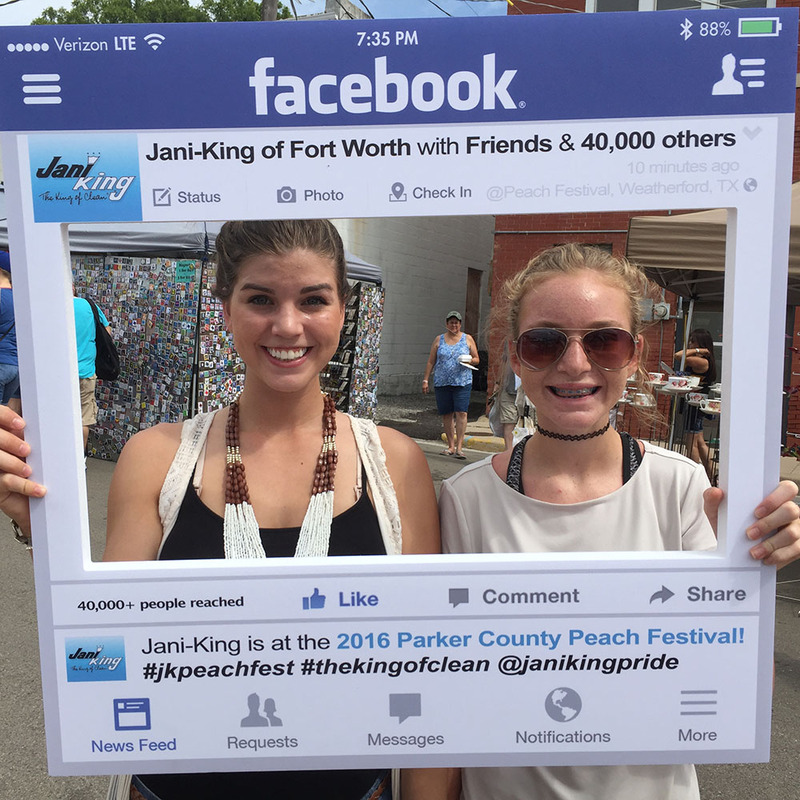 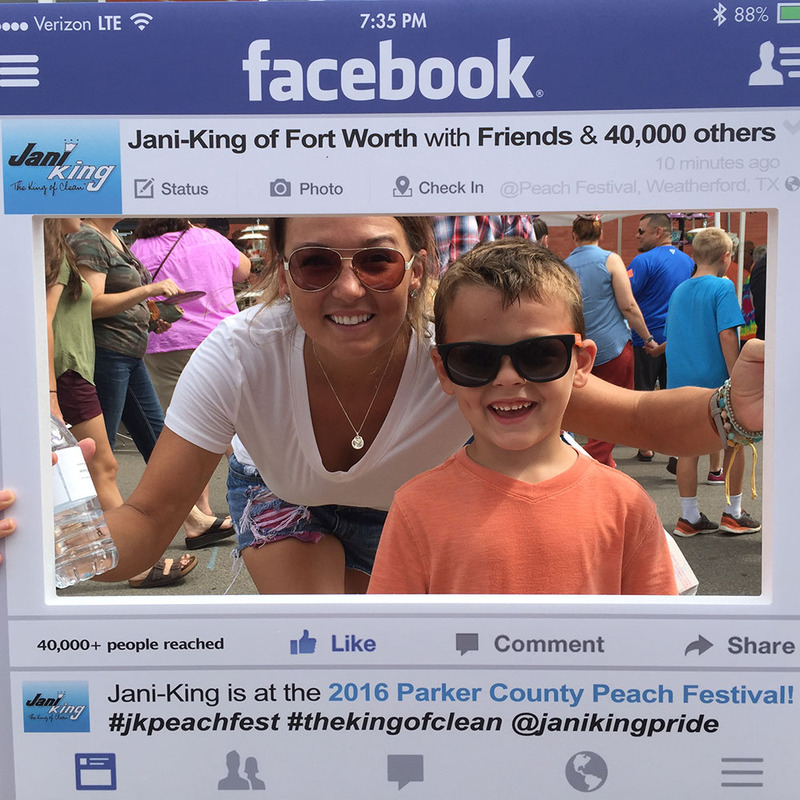 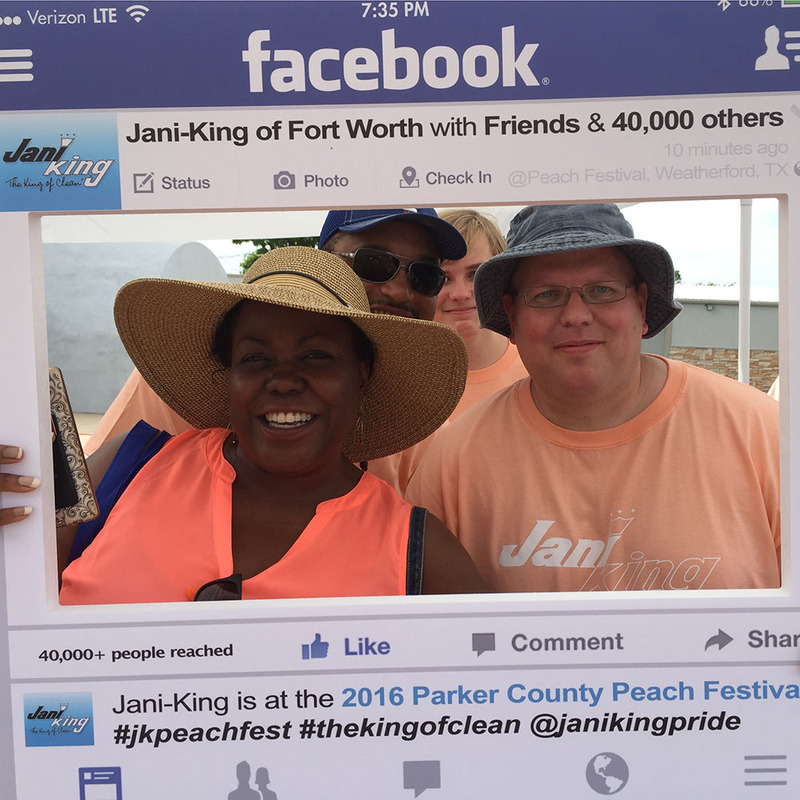 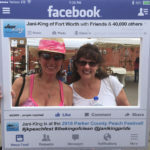 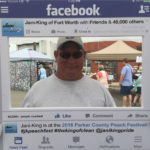 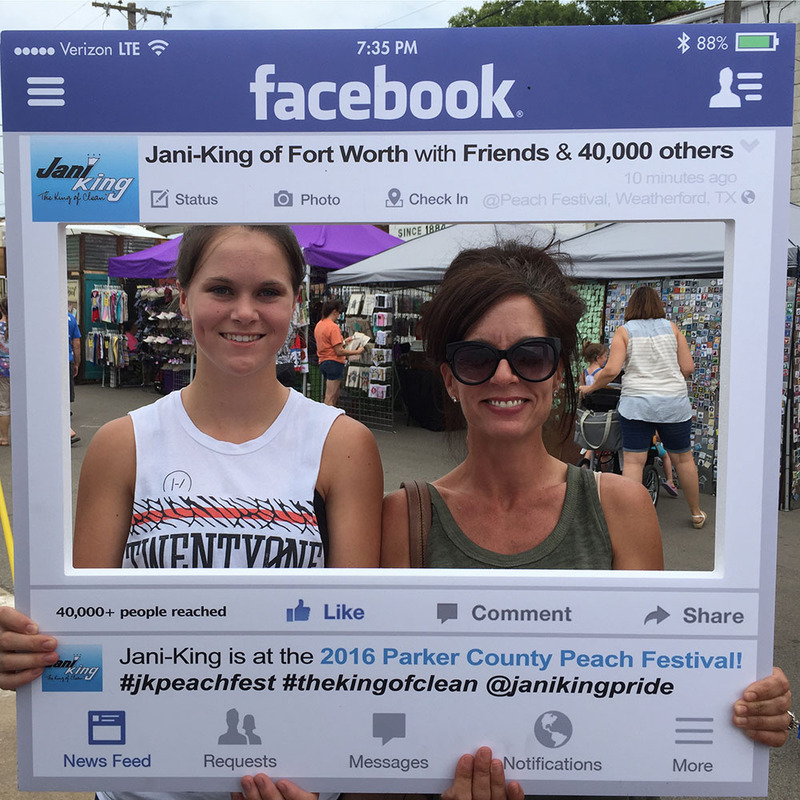 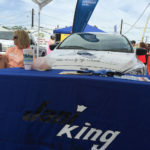 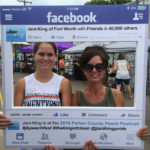 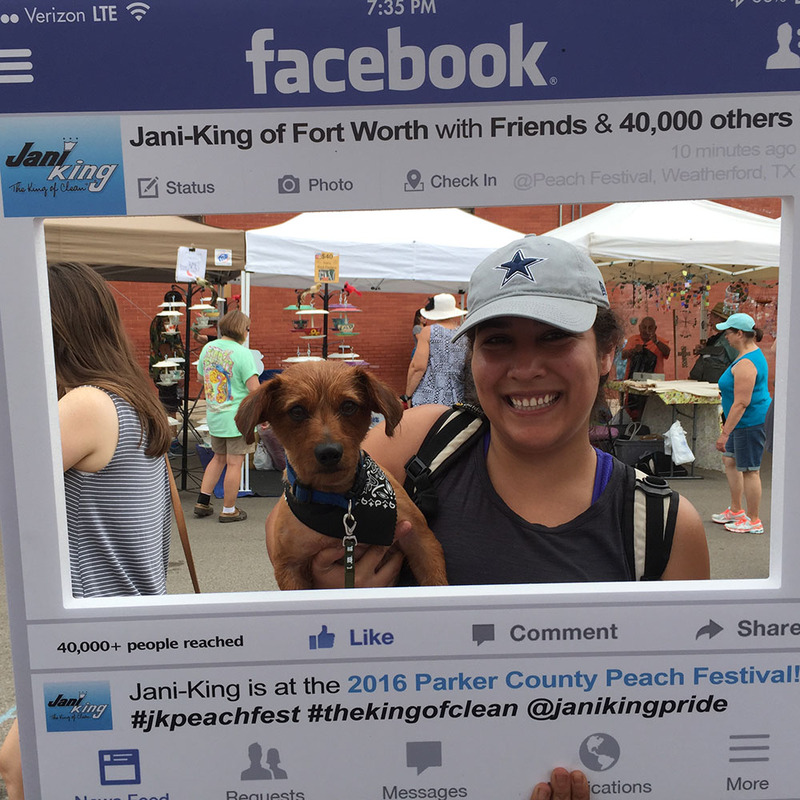 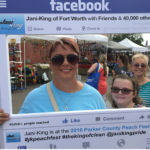 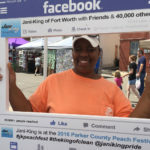 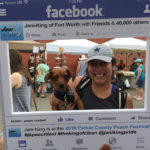 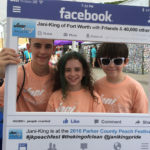 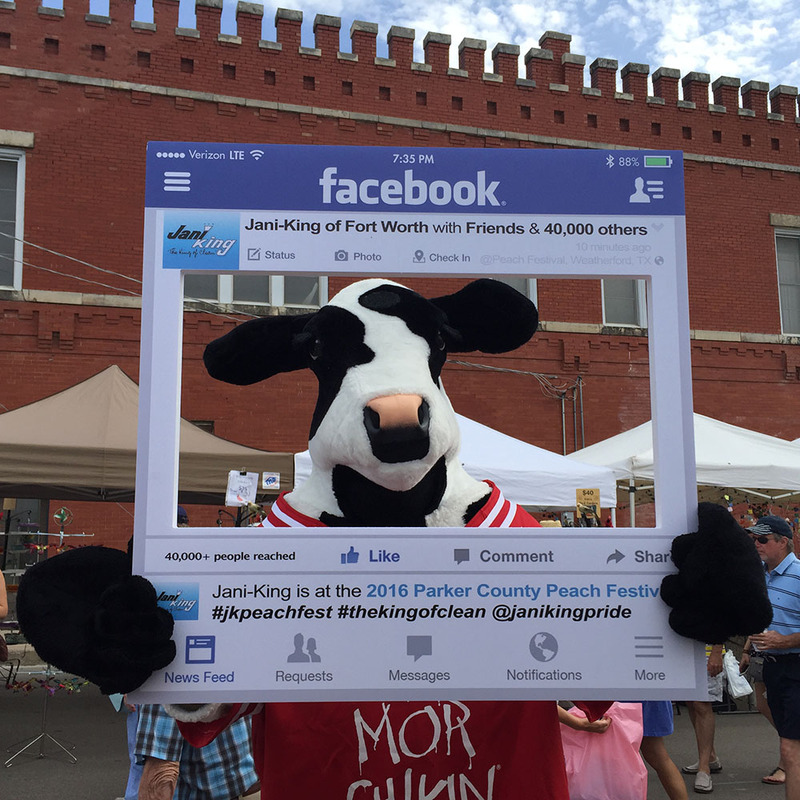 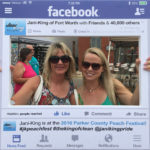 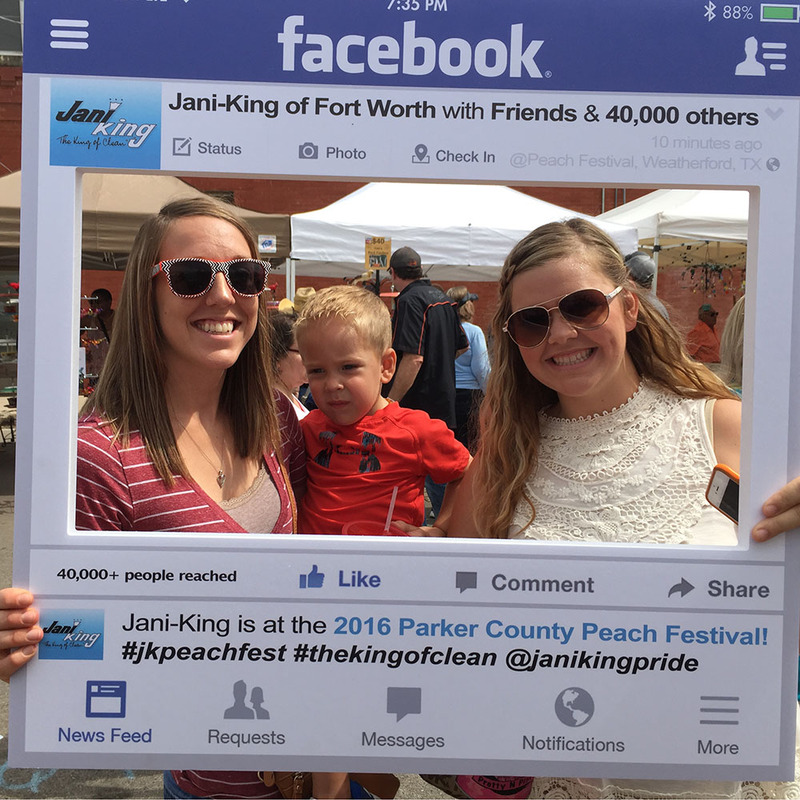 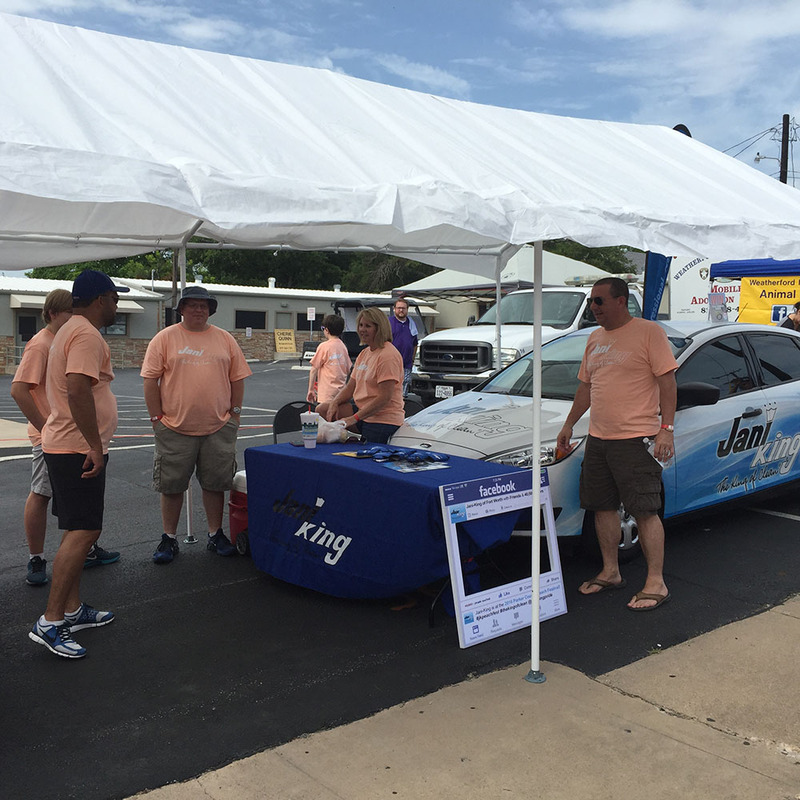 The entire Jani-King of Fort Worth team, along with the support of the Dallas regional office, recently sponsored the 2016 Parker County Peach Festival in Weatherford, Texas. 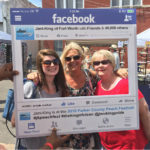 The festival is a daylong celebration held annually in historic downtown Weatherford, the second Saturday of July. 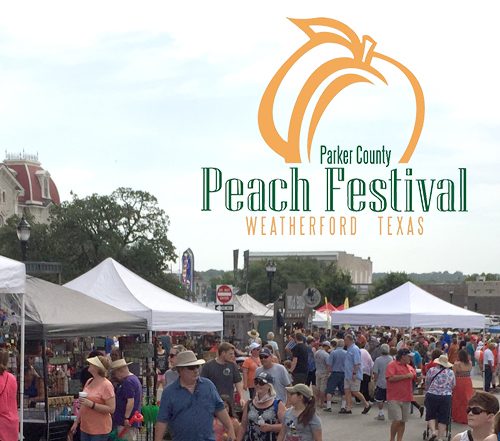 There’s a wide array of homemade local goods to be enjoyed; especially those made of peaches. 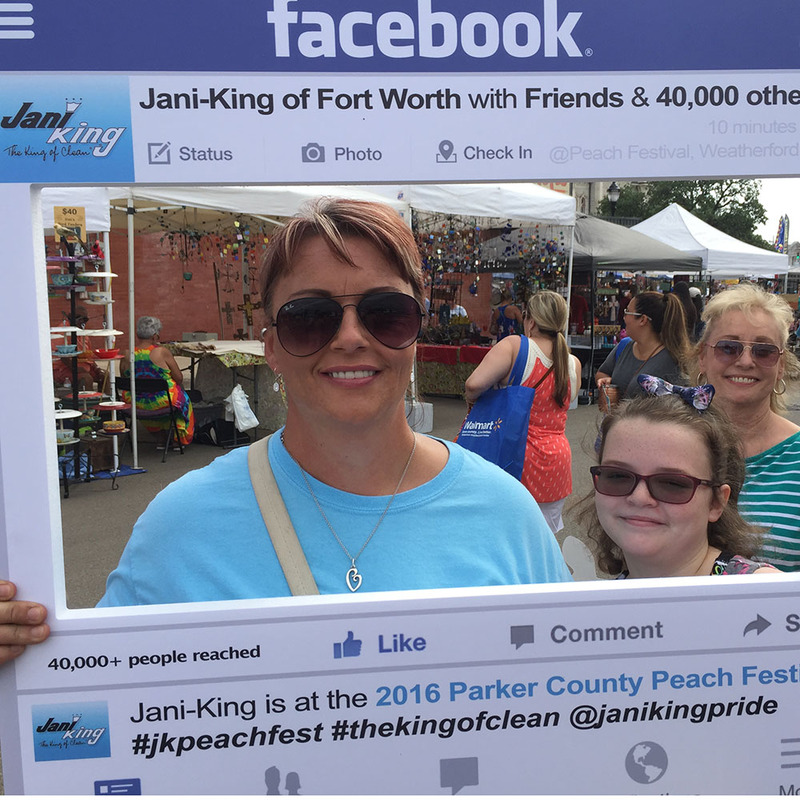 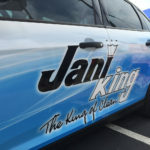 This was Jani-King’s first year participating in the event, which hosts over 40,000 visitors annually. 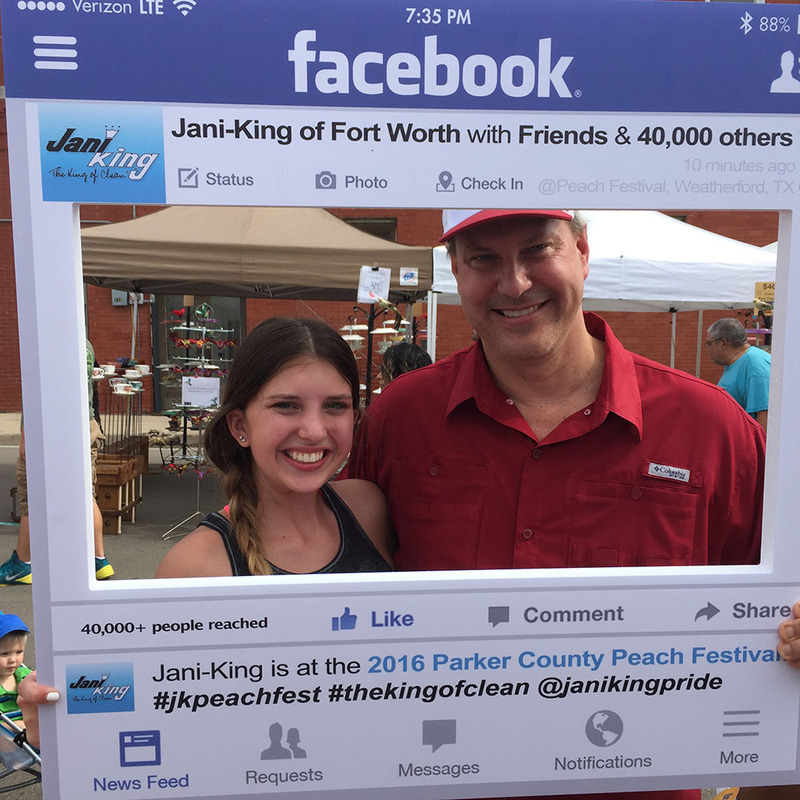 “Our involvement was about introducing Jani-King to the great community of Weatherford,” said Fort Worth Regional Director, Jason Furrow. 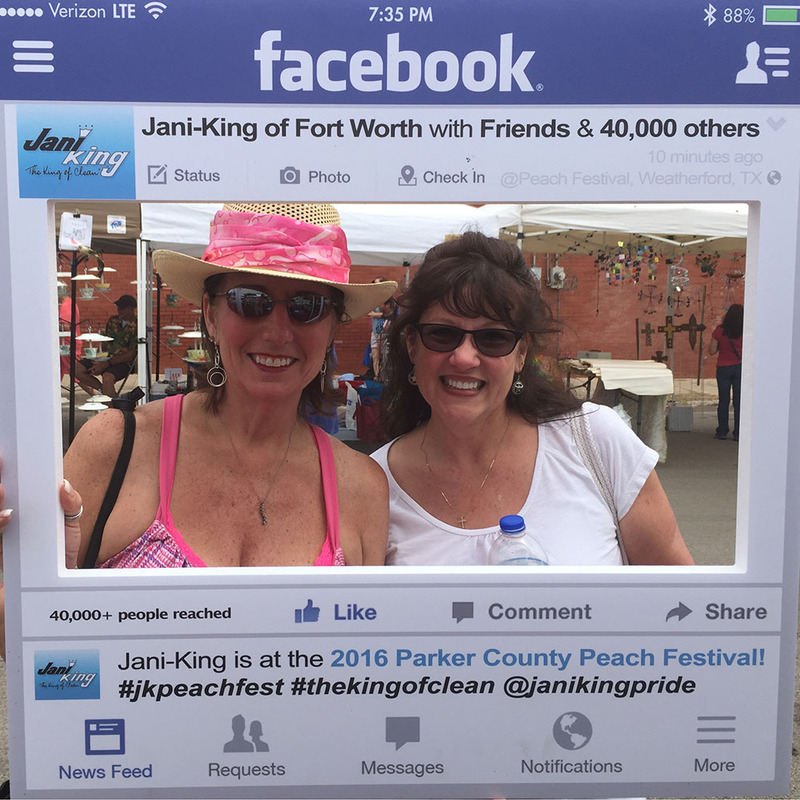 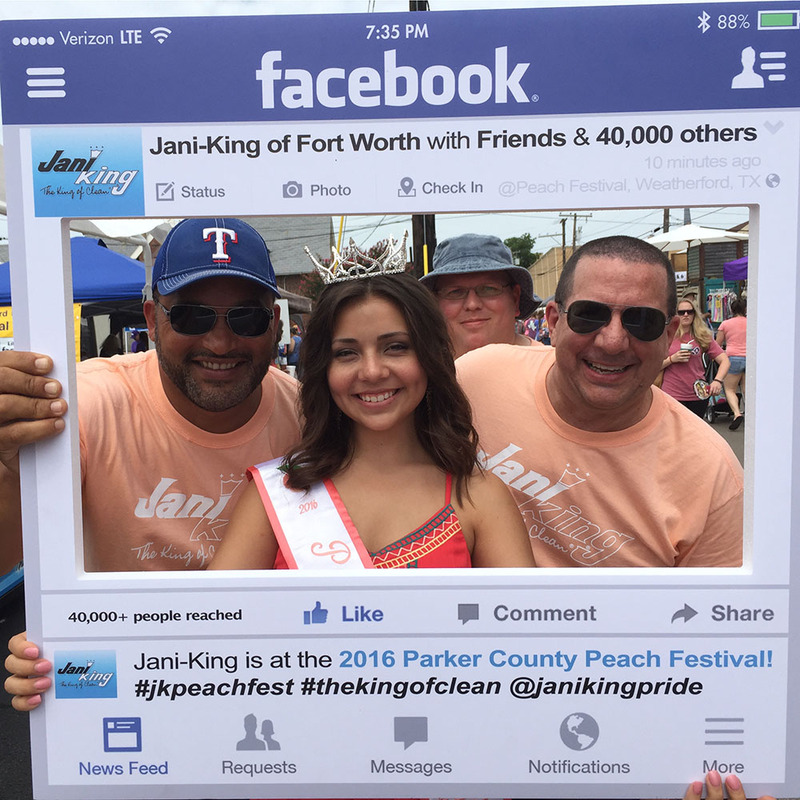 “We’re honored to have participated in this amazing event and enjoyed the opportunity to bond with the local community.” Thank you to all the event visitors who stopped by our booth to take Jani-King selfies!